I would like to set up a VIP appointment for you to stop in & meet with one of our certified sales advisers. Good, Bad or no credit NO PROBLEM-You work You Drive. 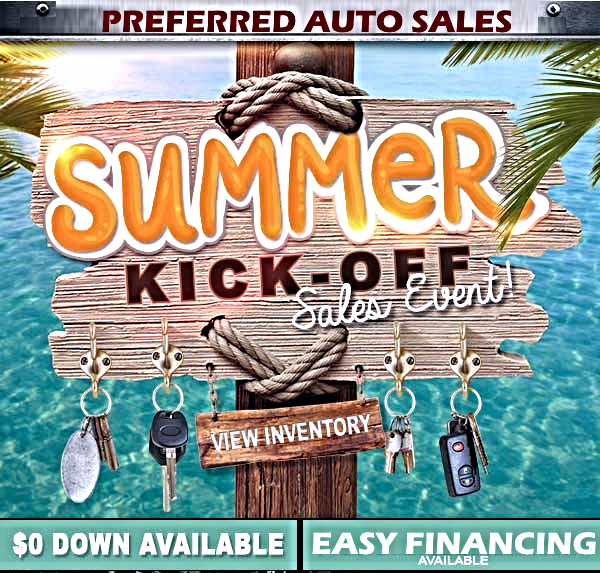 For appointment confirmation & all other information I can be reached via email or at 908-527-8900 & ask to speak with MERLYN...I've enclosed a copy of our current promotion.Click on link to view our pre-owned inventory WWW.PREFERREDAUTO1.COM. ASK ABOUT OUR 0% WARRANTIES. SALE ENDS MONDAY JULY 11TH 2015 AT 7PM. OVERBOOK VALUE ON ALL TRADE-INS. To celebrate our new location we have huge saving for a limited time only! Mention this email or our TV ad for access to our 4 day 96 hour event. Starts this Thursday!!!!!!!! !